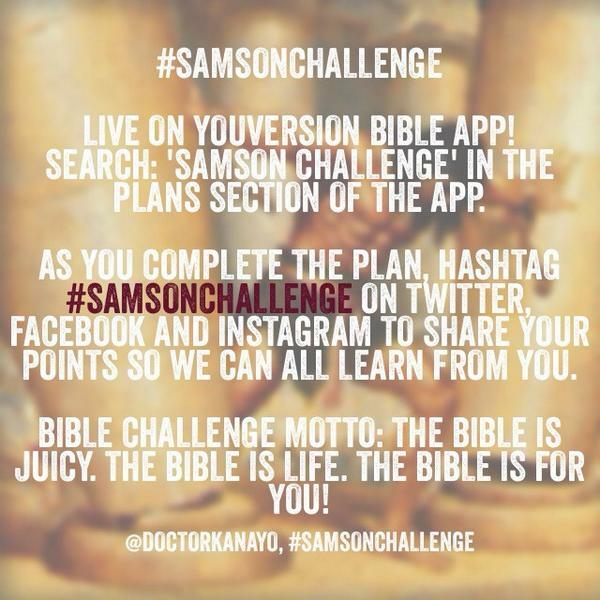 Your girl has been working hard on the next Bible Challenge and I am pleased to announce that the ‘Samson Challenge’ is now live on the YouVersion Bible App (can be followed on my blog for those who don’t have the app). I really thank God for allowing me to push His vision, thank you to my sister Sheena who helped me proof read at odd hours, and thank you to YOU as I know that you will be blessed by the challenge and diligent in sharing it *hint hint*. This is 6 day challenge to read the chapters in the book of Judges concerning the account of Samson. This challenge focuses on our desires, pride, disobedience and discernment. Bible challenges go beyond reading, as we share our understanding with each other. So, as you complete the challenge hashtag #SamsonChallenge to share your points. Bible Challenge MOTTO: The Bible is JUICY. The Bible is LIFE. The Bible is for YOU! Read: Judges 13, 1 Corinthians 1:27 and Matthew 1:20-21. Israel constantly forsook God to chase after worthless idols and in an act of justice; God gave Israel over to the Philistines for 40 years. However, being a God of purpose and of His word, He made provision for their ransom and that provision was Samson. Samson’s purpose was declared and given before He was born (Judges 13:5); it was to deliver Israel from the Philistines. Likewise, Jesus’ purpose was given prior to His birth. You don’t have to be a Bible character to know that you were born with a purpose. What I love about God is how He chooses the lowly things of the world for His glory. God chose a woman who couldn’t have children by the world’s standards, to show His glory and power. You might be feeling like God can’t use you, because you’re not a Bible scholar, or you don’t pray as loud as others do. But let me ask you, by who’s standards? When God calls you to do something for Him, He doesn’t look at your human ability, He looks at His ability and your willing heart. Don’t put a limit on what God can do based on your current abilities. God doesn’t call you because you are ‘able’. He calls you because you are available. There is a popular quote that goes; ‘God doesn’t call the qualified, He qualifies the called’. In this instance, Samson’s mother wasn’t ‘qualified’ to have children, she was barren. But because she was called by God, He qualified her through the declaration of His Word spoken by the Angel. 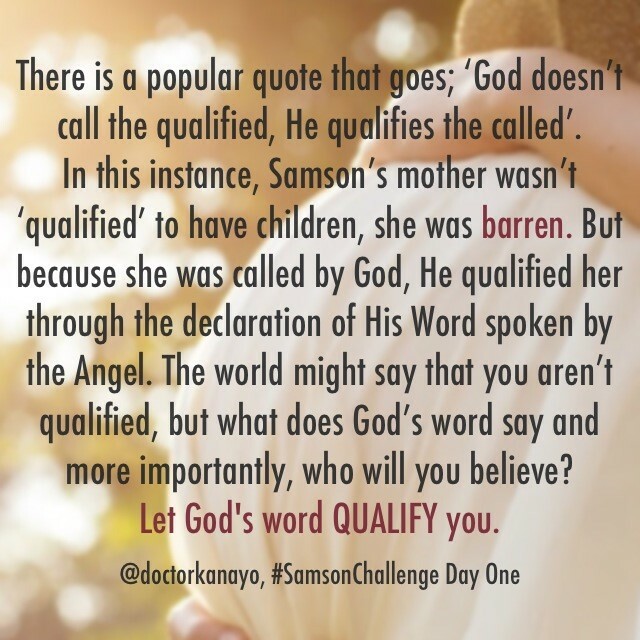 The world might say that you aren’t qualified, but what does God’s word say and more importantly, who will you believe? 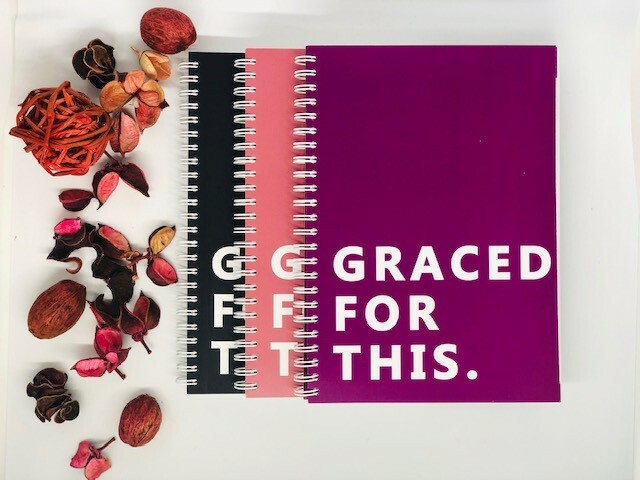 Samson’s Father was extremely delighted by the word given to him and his wife and he wanted to give an thanksgiving offering to the Angel sent by God. Sometimes when we get a prophecy or a word from a pastor, prophet, minister or whoever; we get too excited with the vessel and not the content of that vessel, being God. Some folk will adore and honour their pastors more than they do God, which is wrong! In such cases, the onus is on the vessel to correct the adorer and tell them to direct their worship and honour to God, which the Angel rightly did.